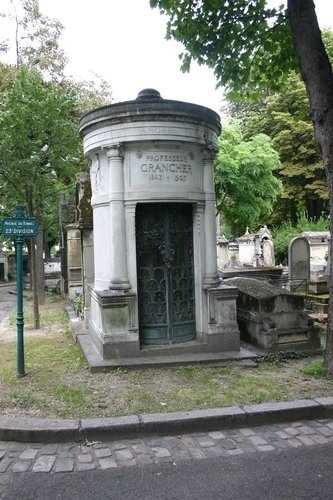 This monumental and artistic tomb of Jacques-Joseph Grancher can be seen in the Section 3 (exactly on the corner between Avenue du Tunnel and Avenue Samson) of the Montmartre Cemetery in Paris. 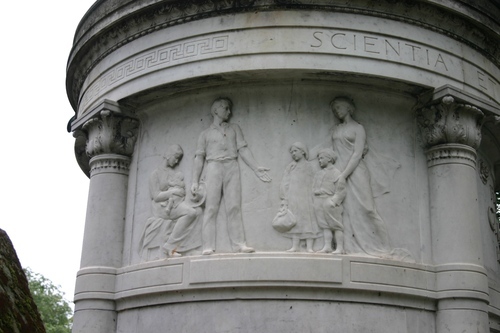 On top of the cylindrical tomb shaped as a temple there is a Latin incription: SCIENTIA ET AMORE PUEROS SALVAVIT. 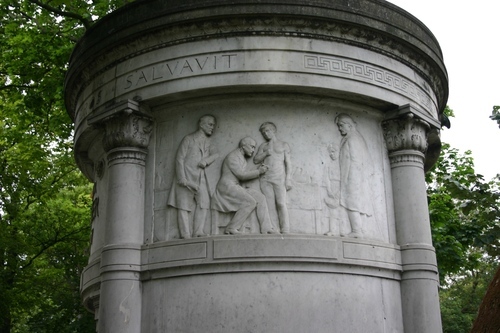 The two lateral bas-relieves, by French sculptor Auguste Maillard1, represents Grancher vaccinating a boy under the gaze of Louis Pasteur and his charitable institution Oeuvre de préservation de l'enfance. 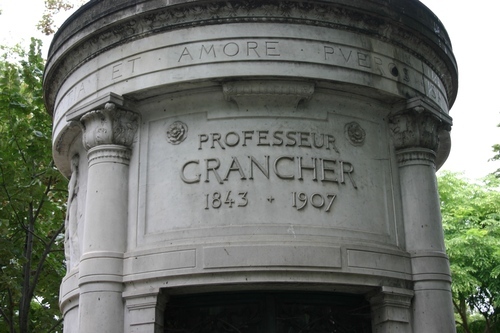 Inside the tomb there is a bust of Grancher which is almost invisible through the dirty windows. 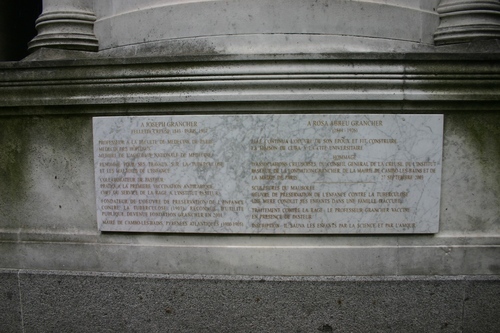 Lastly, a long French inscription - placed in 2003 - gives a biographical sketch of Grancher and his wife Rosa Abreu's lives. 1. Jacques Roussillat, Un patron des hôpitaux de Paris à la Belle Époque: La vie de Joseph Grancher, Société des Sciences Naturelles et Archéologiques de la Creuse, Guéret 1989, p. 119.